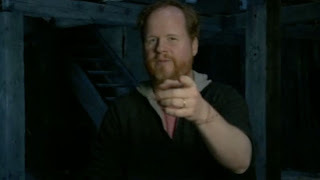 Science Fiction Geeks - Scifi News: Joss Whedon to direct The Avengers: Confirmed! Marvel is in the final stages of hiring Joss Whedon on as the director of the new Avengers movie! This has been rumored since April 1st (where many thought it was a joke) but that no longer seems to be the case. From the article: I'm told Marvel Studios is in final negotiations for Buffy the Vampire Slayer series architect Joss Whedon to direct Marvel Studios' The Avengers. That's the fast-tracked film that would amount to an all-star team of Marvel superheros, including Iron Man (Robert Downey Jr.), Captain America (Chris Evans), Thor (Chris Hemsworth), as well as SHIELD leader Nick Fury (Samuel L. Jackson). Other signature superheros will likely be involved, but I've listed the actors in active superhero duty. This is pretty exciting news for Joss and Marvel fans!